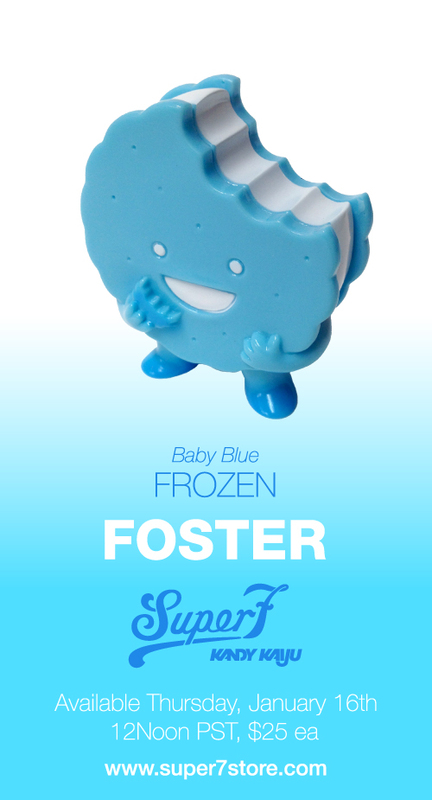 Riding on the winds from the Great Frozen North comes the baby blue Frozen Foster! As winter’s bite chills the bones, sometimes a sweet, tasty treat is just the thing. Standing 3″ tall and cast in baby blue vinyl with blue and white sprays, the Frozen Foster is available Thursday, January 16th, 12Noon PST, $25 each.